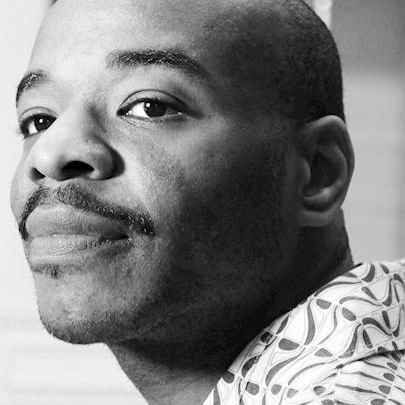 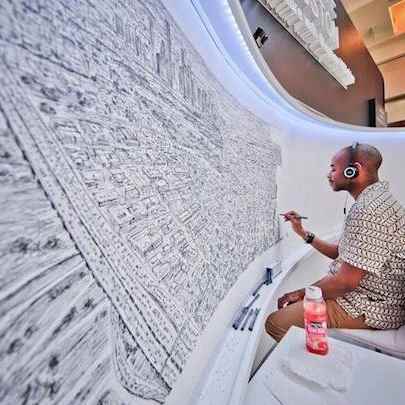 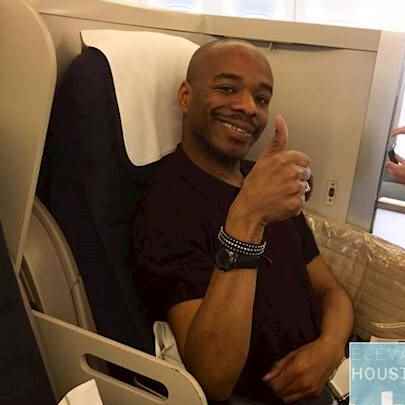 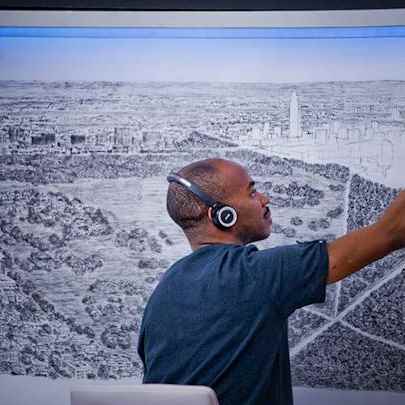 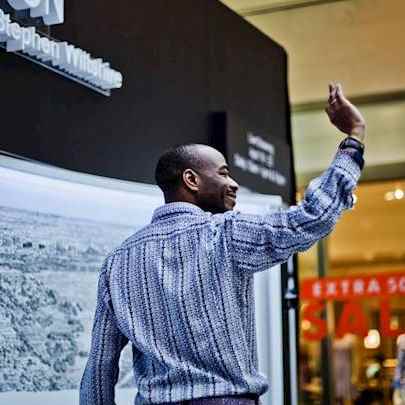 Known around the world for his signature detailed panoramic landscapes, artist Stephen Wiltshire has made his debut visit to Houston in April 2016 to create a spectacular panorama of the Bayou City live at The Galleria, Level IV One between Macy's and Nordstrom. 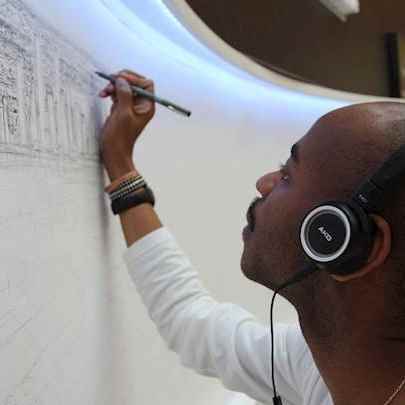 This five-day project, titled "Elevate Houston: The Big Picture" commenced on April 19. 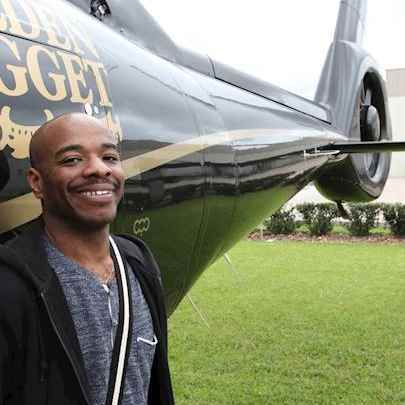 Stephen observed Houston via a one-time dedicated helicopter ride to study the city's iconic architecture and scenery. 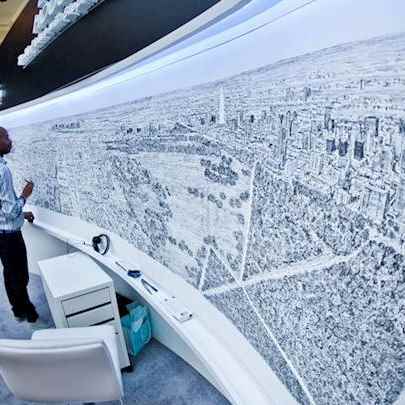 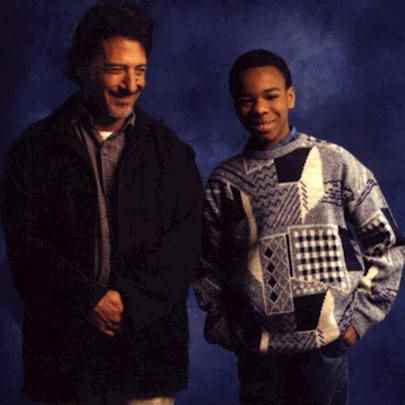 The following day, he commenced work publicly at The Galleria, spending seven hours each day sketching his 3-foot tall by 12-foot wide panorama of Houston drawn entirely from memory. 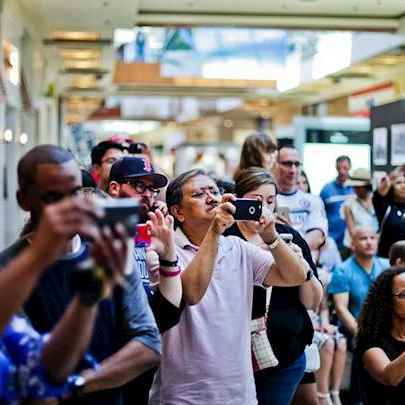 Sign up to the Elevate Houston newsletter and be among the first to find out about our live event!